When forest has grown older after the young stand phase it has reached a level of good growth and it is a good carbon sink as well. ”Amidst its current hardships, the Royal Court of Saudi Arabia is probably quite pleased that all of us here are discussing forests instead of what lies at the heart of the climate change,” said Professor Pekka Kauppi. ”The role of forests as a buffer against climate change is important, but that buffer is mostly found in natural forests,” said Researcher Sampo Soimakallio. 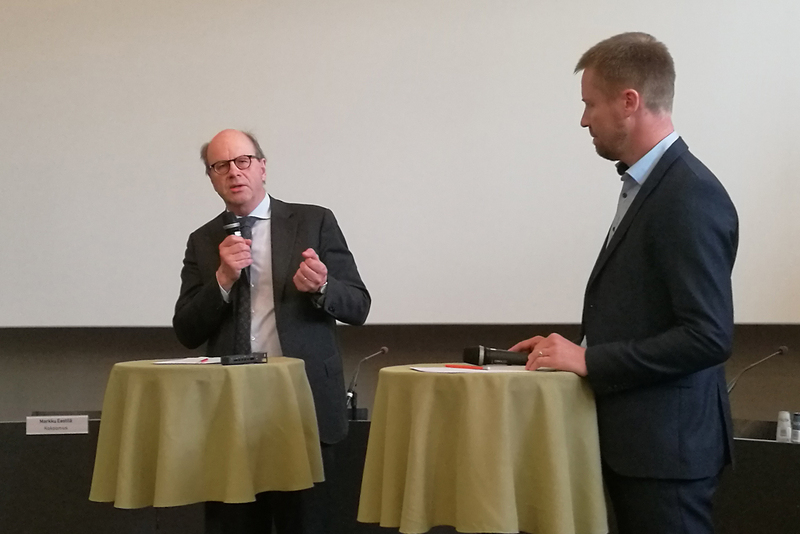 In October, an event called Forest Debate was organized by the Finnish Ministry of Agriculture and Forestry, including two forest-related debates. In one of them, Pekka Kauppi, Professor Emeritus of Environmental Protection, and Sampo Soimakallio, Researcher at the Finnish Environment Institute, debated on the effect of timber harvesting on the carbon sinks of forests. In the other, Sini Harkki, Programme Manager of Greenpeace Nordic in Finland, and Jussi Kumpula, Executive Director of the state forestry company Metsähallitus Metsätalous, debated on continuous-cover and periodic-cover silviculture. The debates were moderated by Janne Impiö, Director of Communication at the Ministry. Read about the debate between Harkki and Kumpula here. Europe is at the lead, but is anyone following?